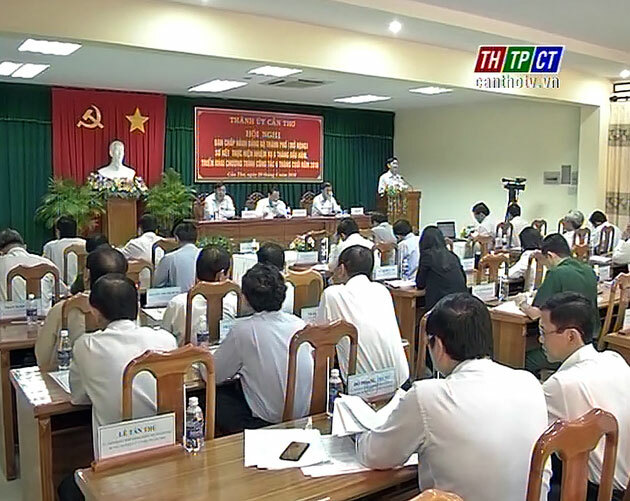 Cần Thơ city party committee in the morning of June 29th opened the expansive congress of the city party committee. 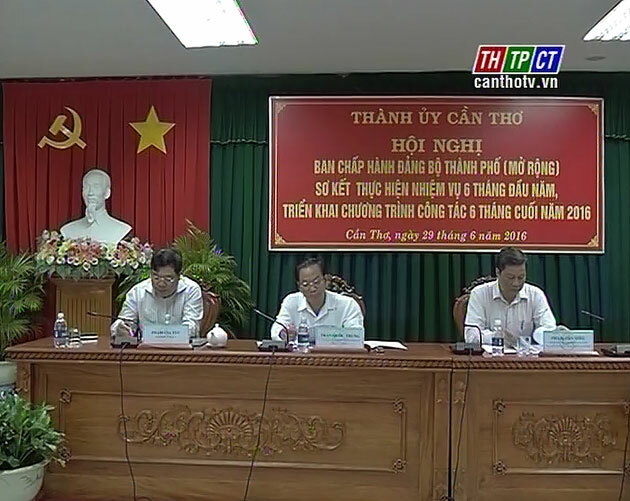 Party central member- secretary of the city party committee Tran Quốc Trung chaired the congress. In the 1st half of 2016, in spite of certain difficulties, with efforts made by the whole political system, localities at all levels have gained some interesting results. The city’s economy has maintained its growth speed with gross product estimating at VND 28,755 billion, a rise of 6.82% against the same period. Industrial production value stood at VND 44,099 billion, a rise of 8.6% against the corresponding period. Goods export was estimated at USD 494 million 500thousand, representing 33.6%, more than 209,000 ha of rice have been transplanted, representing 96%. State budget collection stood at 8,408 billion, representing 73.5% of estimate. Delegates focused on discussing some issues relating to recorded results as well as drawbacks so that party committees, authorities and offices can concentrate in remaining months of 2016. Many solutions, opinions were shared at the congress to successfully carry out targets set in the resolution for socio- economic development in 2016. Party central member- secretary of Cần Thơ city party committee Tran Quốc Trung suggested sectors at all levels actively publicise, study and effectively carry out resolutions of the city party committee and the national party congress.